Ill be there to listen you. 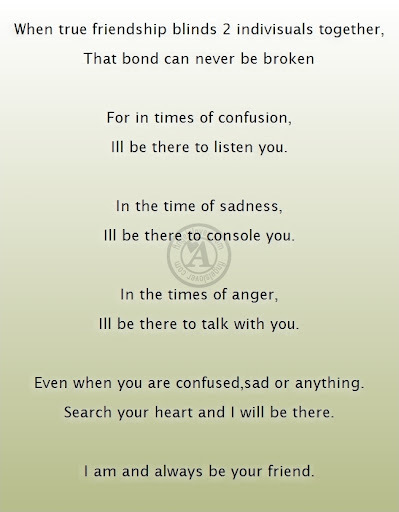 Ill be there to console you. Ill be there to talk with you. Even when you are confused,sad or anything. Search your heart and I will be there. 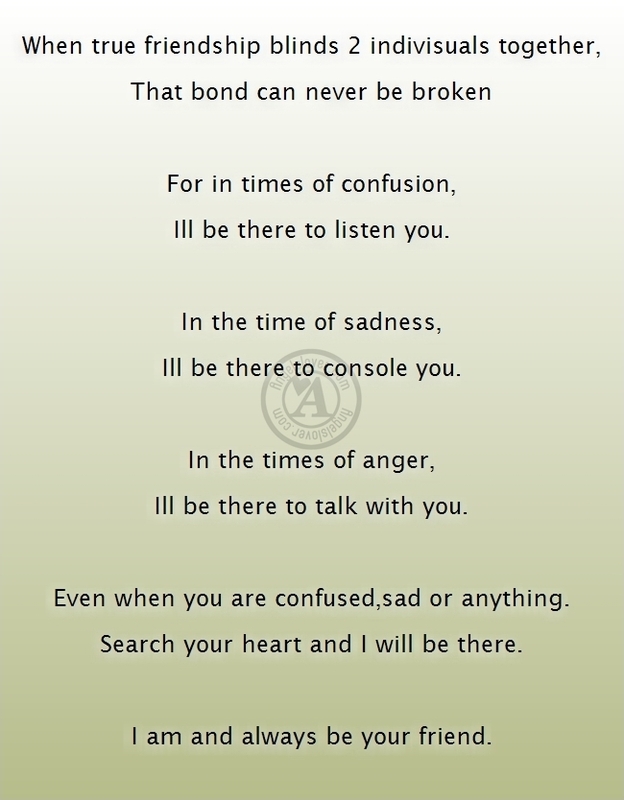 I am and always be your friend.